This season, PUMA gives new life to perennial styles with their latest Classics collection. 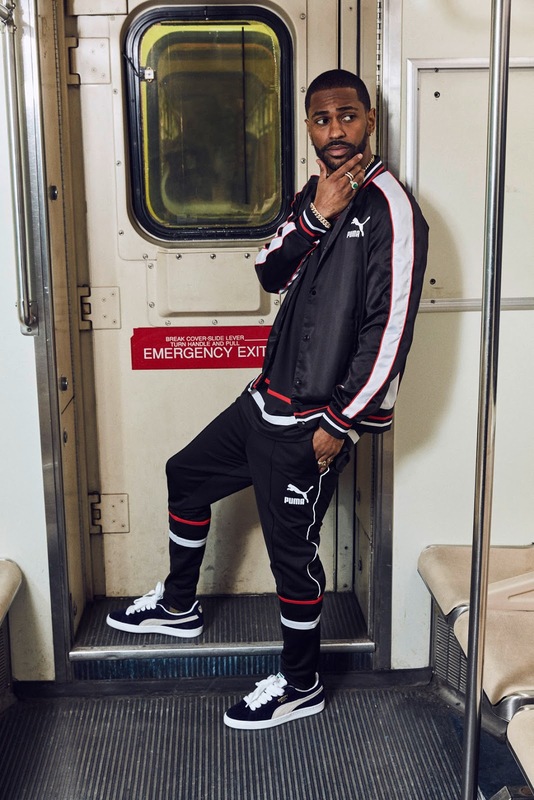 Get major throwback feelings with the return of iconic hits such as the Suede (R1 699) and T7 Track Jacket (R1 299) in contemporary iterations and new colorways. Tommie Smith, Walt “Clyde” Frazier - legends of sports that propelled these styles to their Hall of Fame status today. More than forty years later, they continue to rock the streets and are staples in every sneakerhead’s closet and wardrobe rotation. With the Suede celebrating its golden year in 2018, the Classics are looking fresher than ever. Rounding up the Classics range is a capsule pack inspired by the flashy fashions of seventies DJ’s and B-boys in the Bronx. The SUPERPUMA pack harks back to the beginnings of Hiphop and Funk with detailing that’s reminiscent of that era. Tapes and piping on the hem, pop-artsy branding, and luxe materials give off retro vibes. The SUPERPUMA Suede (R1 699) comes in all its OG glory in Red and Black hues with the SUPERPUMA Cat branding on the tongue and insoles. The color story and super fly styling continues to the SUPERPUMA Tank (R699), SUPERPUMA Shorts (R799), Tee (R599) with a ringer neck and the Satin Bomber (R2 499) with cool embroidery on the back. Complete the look with the SUPERPUMA Driver cap (R369) available in black. The PUMA Classics Collection drop on Thursday, 8 June 2017, at PUMA stores, PUMA SELECT Bree Street, Cape Town and Braamfontein, Johannesburg.